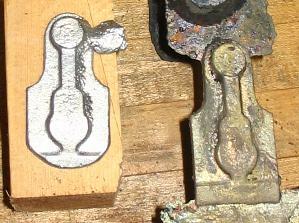 Often a pattern maker would borrow a tool in order to make a copy of it. 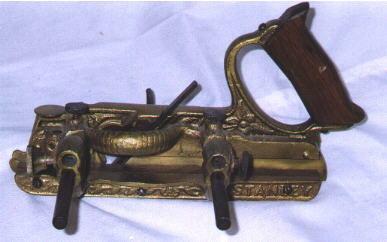 The original tool is used as a pattern! (The original is a copy of a pattern after all.) 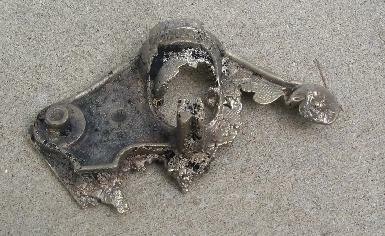 Typically the copy is made of brass, bronze or aluminum. 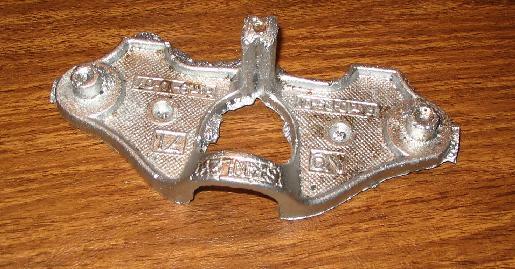 Occassionally a copy of a manufactured tool will be found in a metal the manufacturer never used! They are most likely not rare Stanley prototypes. I demonstrated the process of copying a Stanley 71 at Galootapalooza III. I repeated the demo at Galootapalooza X This time the demo included actually pouring molten metal (though the mold did not coupletly fill). Aluminum copy- on the third attempt the mold filled! I should have used brass. The demo this time was for a casting class at Tiller's International. I borrowed a lever cap from a 95 to use as a pattern. Thanks Wayne! The casting on the left didn't come out quite right. The mold didn't fill entirely resulting in the rounded corners. The second attempt on the right came out properly. 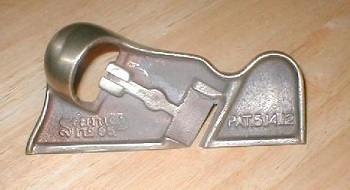 A recast type 2 Stanley 45 in bronze! On the fence the knobs which tighten down the rods have different threads and thus are not interchangeable! 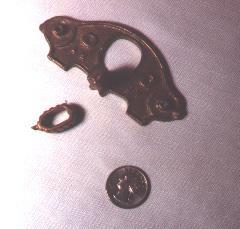 Router plane casting from the St. James Bay Tool Company It's an investment copy of a sand cast original! Read my post to the Badger Pond about this plane. 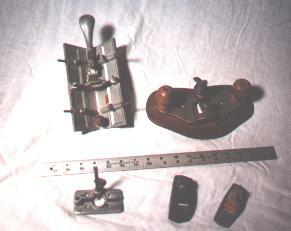 Clockwise from the upper left corner: A small core box plane, recast Stanley 71 router plane (bronze), two small planes, a recast Sargent router plane (aluminum). 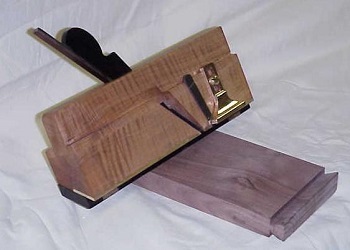 Tod Herrli's dovetail plane with cast depth stop. 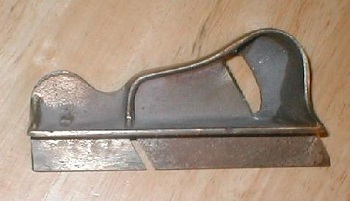 The stop is a copy of an original from an antique fillister plane Tod owns.